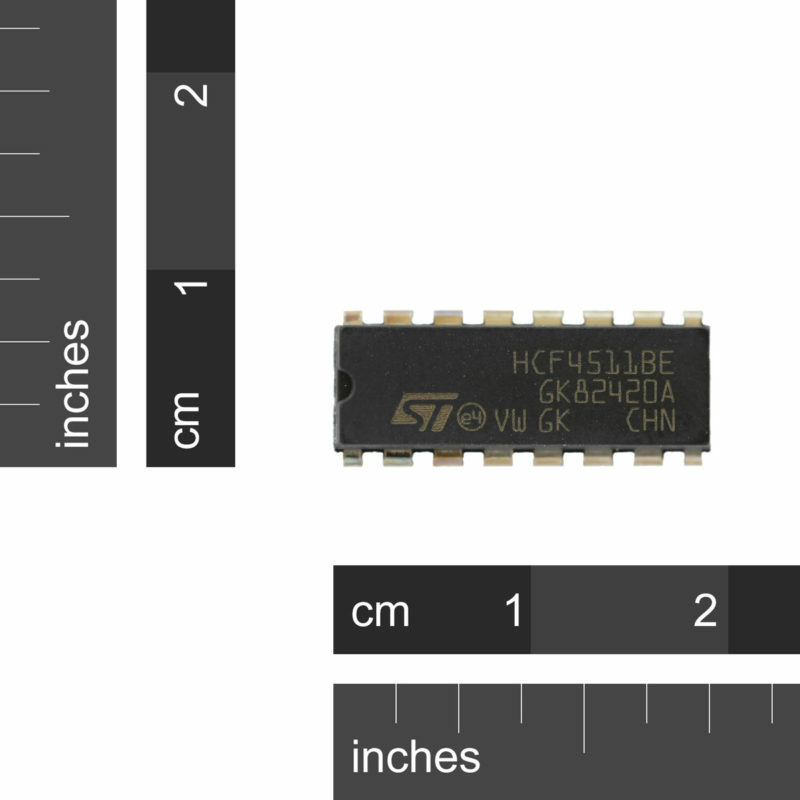 SKU: IC-HCF4511BEY Category: Integrated Circuits Brand: ST Microelectronics. 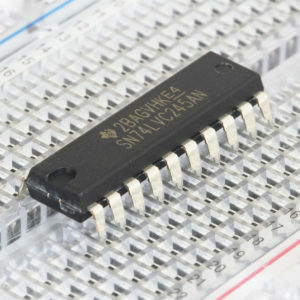 This is a pretty simple IC, but very useful for driving 7 segment displays. 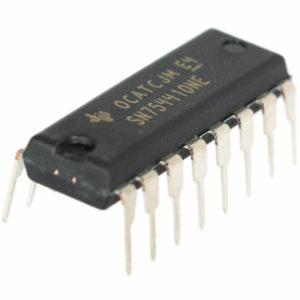 For normal operation Latch Enable (pin 5) is held low, but when it is high, the input pins are read (1, 2,6 & 7) and their values are latched on. 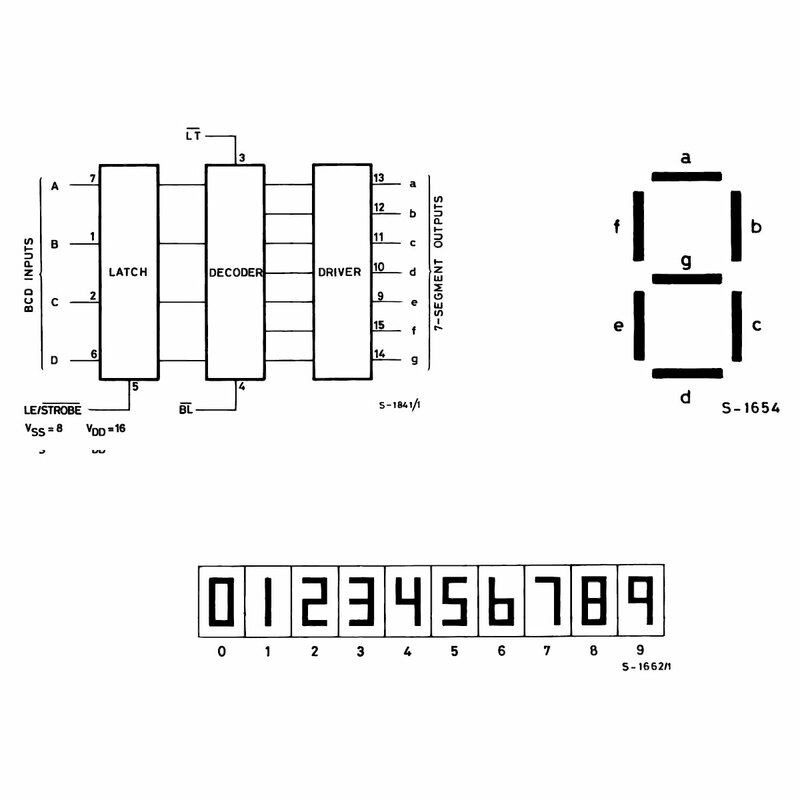 The output pins (9 to 15) then drive the 7 segment display and display the decimal number corresponding to the input values. 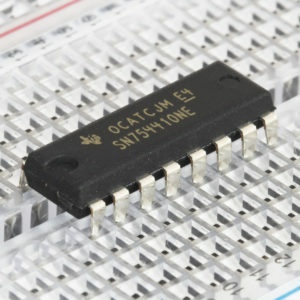 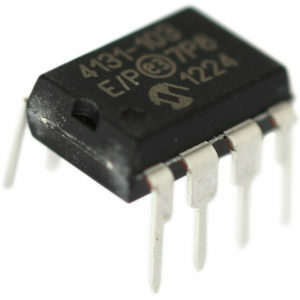 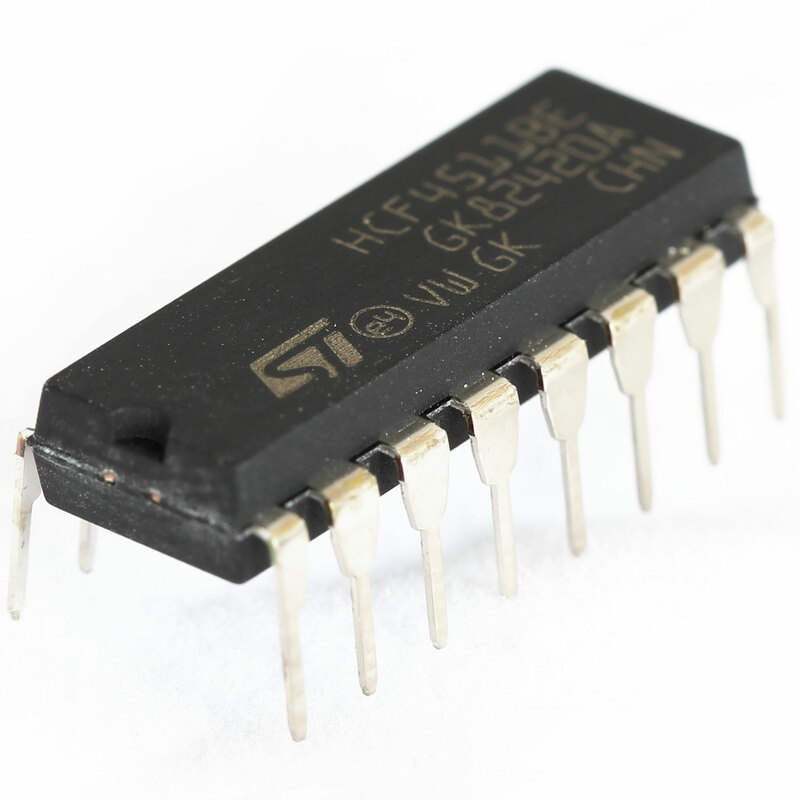 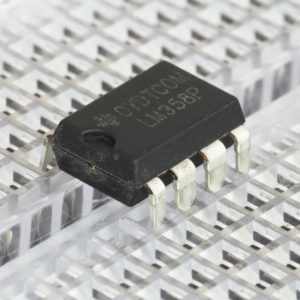 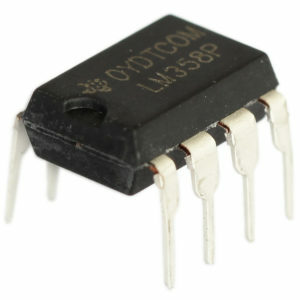 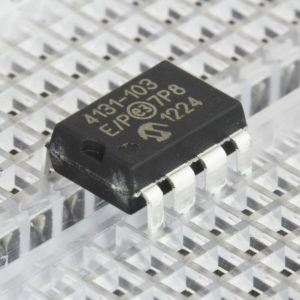 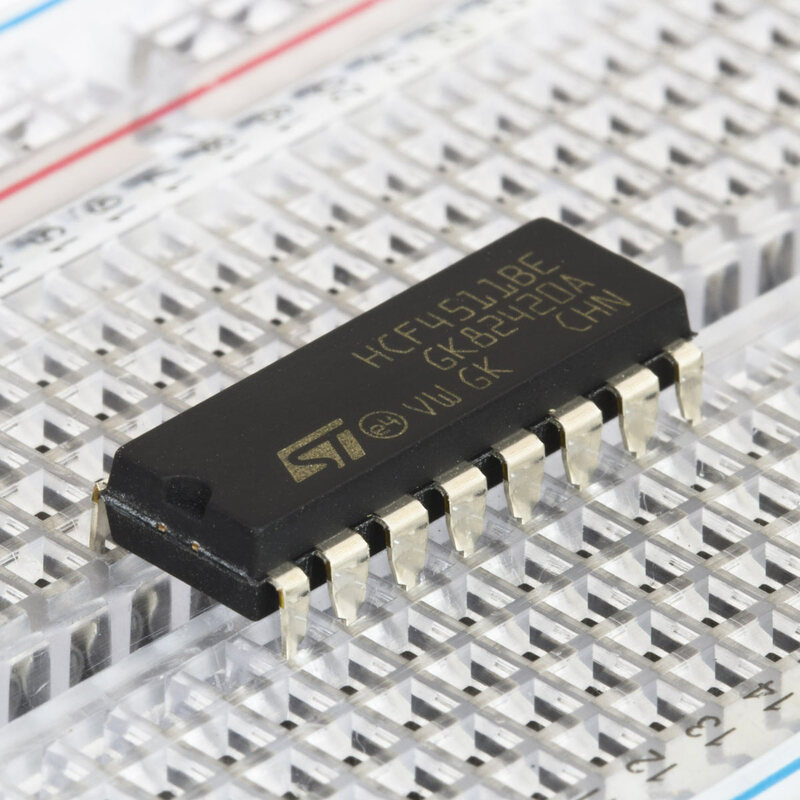 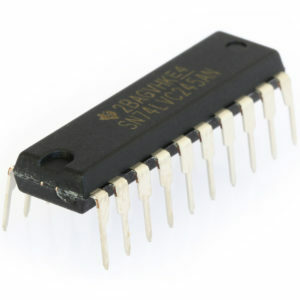 This IC can be used by itself, or a set of the can be used with a 74HC154 to drive up to 16 digits with only 8 input lines.